Since long time Meccanica H7 has been working with leading producers of equipment intended to the field of "white goods” appliances, in particular with one of the most important manufacturers of household appliances in the international scene. 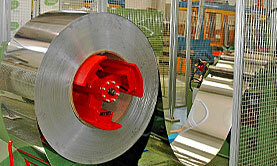 We have developed applications more focused on the production of washing machines. 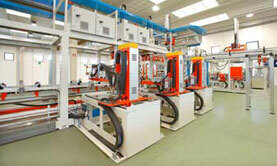 Washing machines lines — processes for the working of the single component, using systems for machining, punching and pressing. 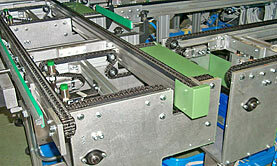 Washing machine drum assembly — working centers and stamping and assembling lines for washing machines drums. 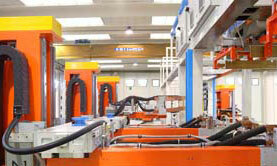 Welding systems — assembly of multiple components, using welding, positioning systems, screwing and control systems. We have produced also welding and assembling lines for washing machine frame and assembly lines for washing machine drum. 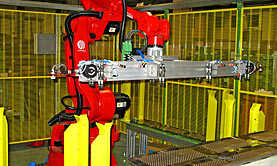 Handling systems — handling systems and complete pallet lines for the working and the assembly of components.